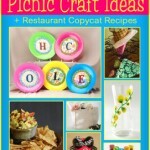 Between homemade treats, costumes and spooky decorations there are so many ways to go handmade for Halloween. Another reason to craft this October is Breast Cancer Awareness Month. Break out your breast cancer ribbons and anything pink to honor the survivors and victims of breast cancer. Next to skin cancer, breast cancer is the most common form of cancer among women, with thousands diagnosed each year. 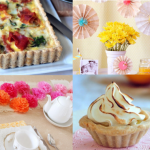 Here are FaveCrafts, we support the women, their families, friends, and communities affected by breast cancer. So in recognition of Breast Cancer Awareness Month, we’ve gathered 10 pink-inspired crafts to help you show your support. From free knitting patterns, crochet patterns, and afghan patterns to beaded jewelry and charm bracelets, we’ve got tutorials for every crafter. Wear the items yourself, give them to a breast cancer survivor or patient, or donate them to your local hospital – anyway you show your support this month will go a long way to those affected by the disease! Let’s get crafting in honor of breast cancer patients everywhere! This knitted cable scarf is a wonderful way to show your support all month, and even all year. It’s also reversible, featuring two beautiful patterns on either side. This is an elegant way to wear your heart on your sleeve. 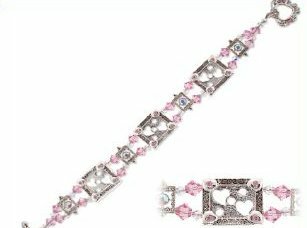 Featuring small silver heart frames and pink gems, this bracelet is a simple way to incorporate pink into your outfit. Send a message with this pretty crystal charm bracelet. This tutorial will show you how to create small breast cancer ribbon pendants, and add other dangles and beads. This easy afghan crochet pattern will bring comfort to survivors everywhere. 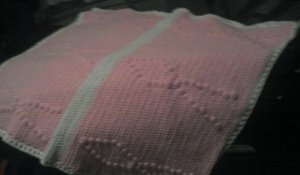 With breast cancer ribbon detailed in the stitching, this afghan will bring warmth and comfort. Honor the women in your life with this easy crochet pattern. This is the perfect project for beginners. Grab some pink yarn and go! 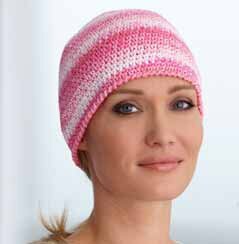 Whether you’re out walking the dog, cleaning up the yard, or going for a bike ride, shade your head with this pink ribbon hat. It’s perfect to make with or for your team when you participate in the next fundraising walk or run. This bright pink scarf will give you a warm, cozy texture and a pop of color too. This is an easy way to show your support this month. Support breast cancer patients every step of the way with these Pretty in Pink Socks. 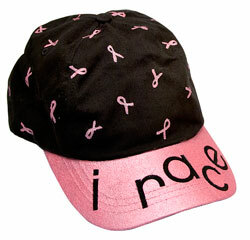 This would be another great project for your next breast cancer walk or run. 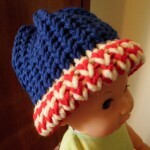 This is a beautiful crocheted cap, perfect for when the whether gets a bit chilly. Create a bunch of these and donate them to your local hospital. This rhinestone chained bracelet is a fantastic way to honor the women bravely fighting breast cancer every day. Follow this tutorial to get make yours now. How Will You Show Your Support During Breast Cancer Awareness Month?